Behind The Scenes: "To Jennifer" Streaming Until New Years Day! 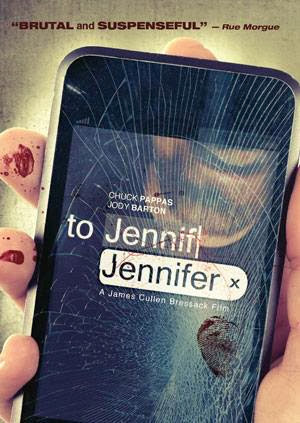 "To Jennifer" Streaming Until New Years Day! Yes you read that right above on the title the film that my filmmaker friend James Cullen Bressack shot entirely on edited and distributed on the Iphone5 is pure genius and a great little film as well. Joey suspects his girlfriend of two years, Jennifer, is cheating on him. He is so convinced that he enlists the help of his cousin Steven to create a Video Dairy of his attempt to catch her in the act as well as to document the heartbreak she is putting him through. He intends to give this tape to her after catching her in an attempt to make her feel guilty. If you are reading this after the first then you missed your opportunity to see the film. After the film click below for my review of the film to see if we agree and who knows if you write a review of the film on Amazon for James he might share another film sometime down the road.